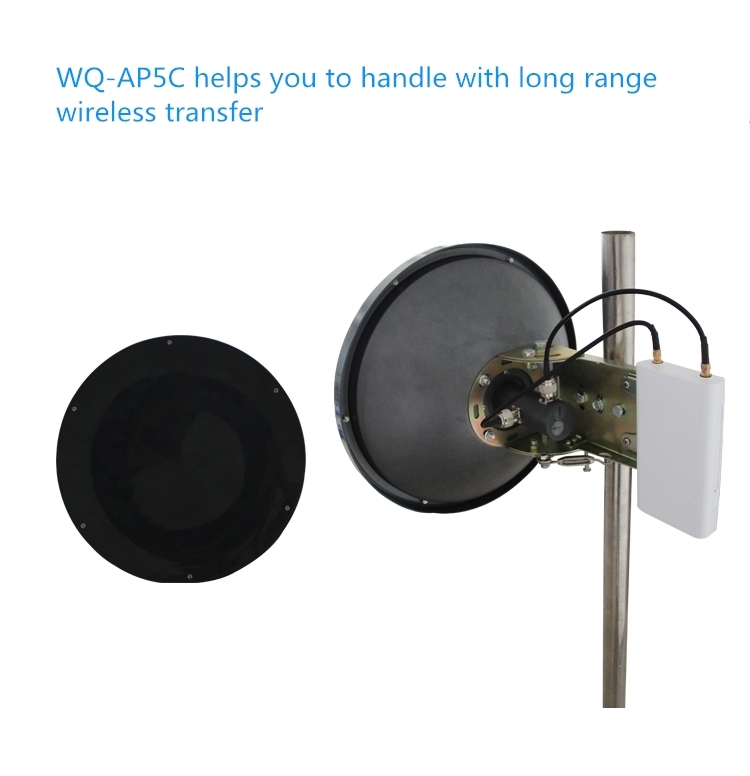 WQ-AP5C is equipped with a 23dBi parabolic dish antenna, which can be used for 15km long distance wireless project. 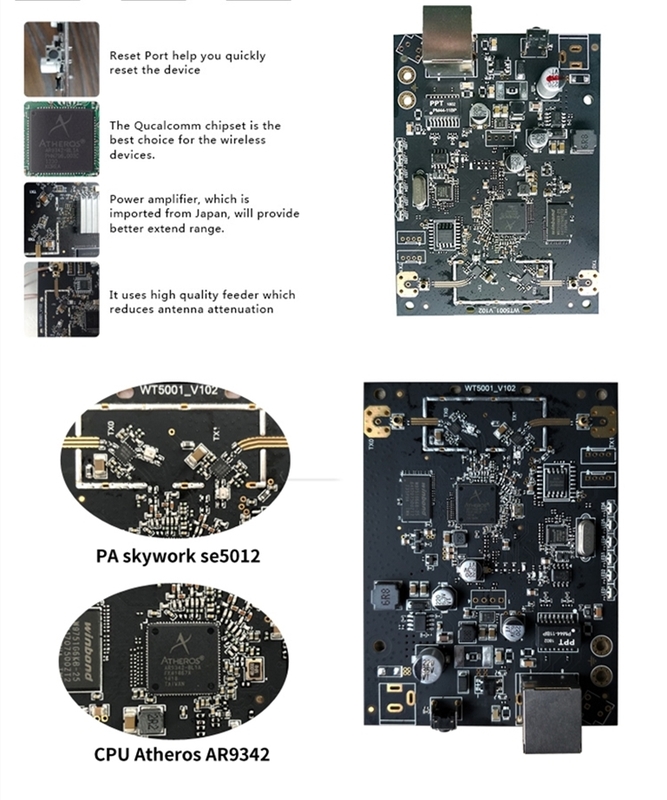 WQ-AP5C is equipped with an antenna protection cover, which makes the antenna isolation from harsh enviroments. 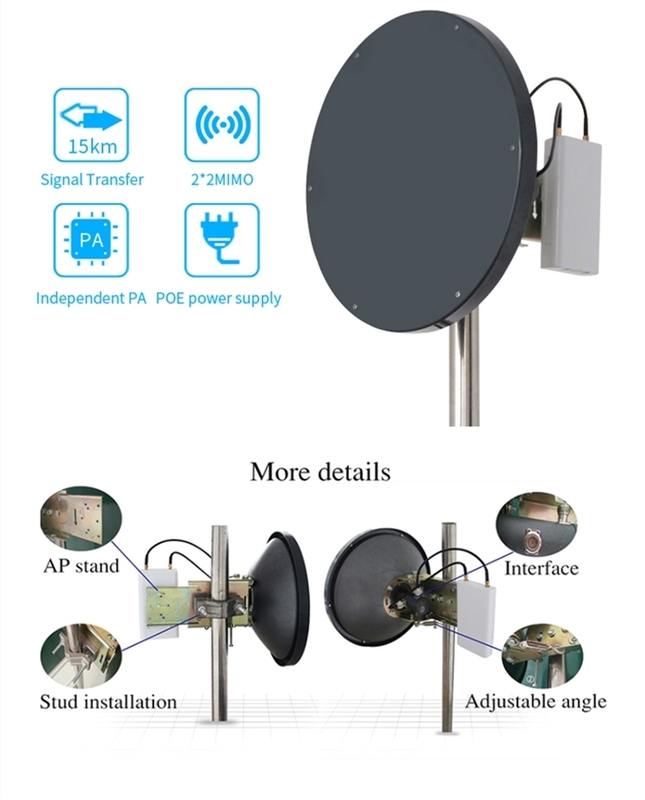 5GHz & 300Mbps communication level outdoor wireless CPE, which can come true 15km long range PTP wireless transfer such as forest, island and so on. 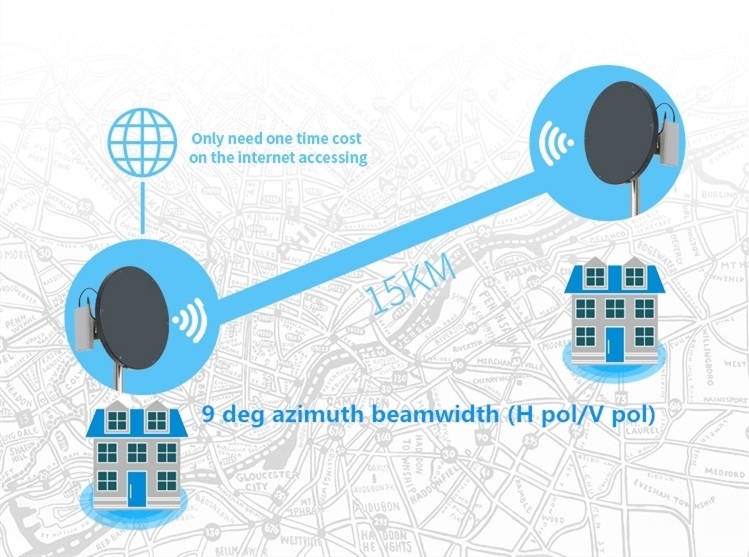 when using it, please check the azimuth beamwidth. 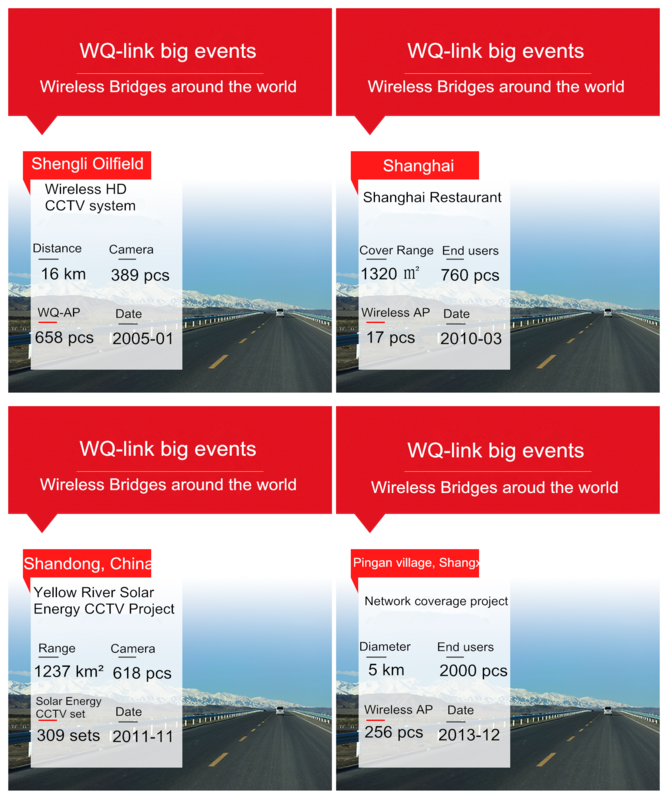 This product WQ-AP5C can be used in many remote transmission scenarios, if traditional wiring is difficult to carry out. 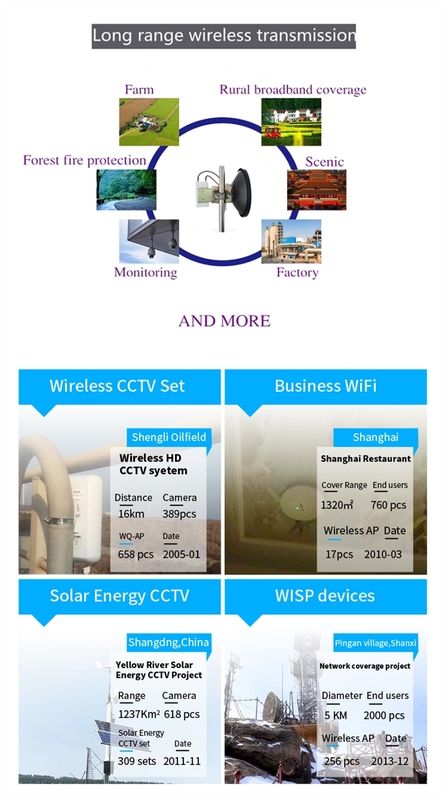 below is the scenarios and some Successful cases of our team. 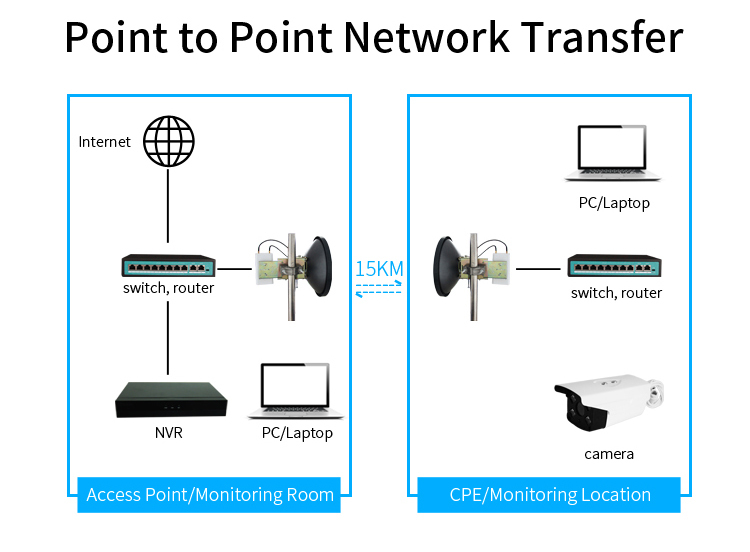 One device emits a signal and the other receives it to enable real-time viewing of the monitor screen,allthough long distance between these two point.